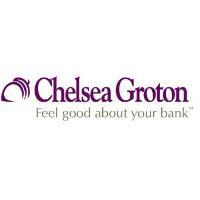 Groton, CT – Chelsea Groton Bank has been awarded a 2018 Top Workplaces honor by The Hartford Courant, for the third year in a row. The Top Workplaces lists are based on the results of an employee feedback survey administered by Energage, formerly WorkplaceDynamics, a leading research firm that specializes in organizational health and workplace improvement. Several aspects of workplace culture were measured, including alignment, execution, and connection. While Chelsea Groton offers traditional benefits for employees, the Bank also provides employees the opportunity to partake in a variety of continual education programs, as well as a manager training program. Team members are invited to participate in a wellness program designed with incentives to track and challenge employees in physical, mental, and financial well-being. Community volunteerism, donations and supply drives have also always been a driving factor in bringing our team together.